Get a Free Quote for the Ultimate Home Ducted Heating Solution! 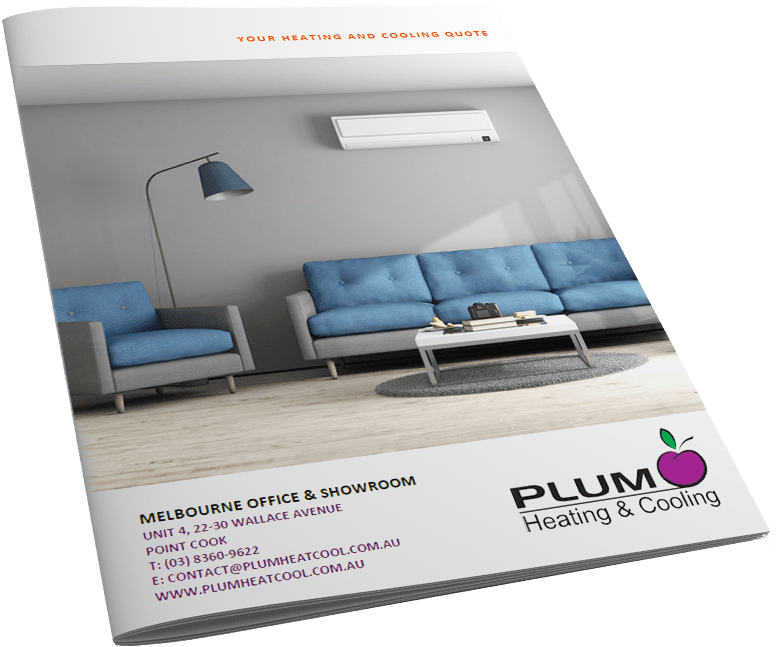 Perfectly Designed and Installed By Plum Heating & Cooling Based on Your Home and Your Lifestyle! More than 23,872 Satisfied Customers All Over Melbourne! Eliminate the Risk of Buying the Wrong Heating System for Your Home. Request a FREE In-Depth Quote and be Confident that you're Making the Right Heating Choice for Your Investment. Safeguard Yourself from Future Headaches by Using One Company who Employs its own Technicians & Installers and Not Outsource to Different Contractors. Technicians at Plum Heating & Cooling are Constantly Trained to be The Best in the Industry. Receiving Premium After Sales Care Means You Will Always Be Our Priority Years After Your Heating System Has Been Installed. No More Getting Treated as Second Best as Soon as the Job is Completed. Can not speak highly enough of the three guys who removed and fitted my new heating system today. They were clean tidy and efficient. Thank you Plum. You have restored my faith in tradesmen!!! And the air conditioning unit is working more efficiently too! Installing a Poorly Designed Heating Solution in Your Home will Cause Problems in the Future. Trust the Experts at Plum Heating & Cooling for the Best Heating Solution Possible for Your Home.